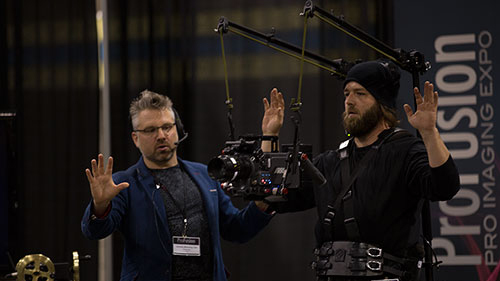 This past week in Toronto, the ProFusion Expo took place at the Metro Convention Centre to showcase and celebrate the pro imaging industry in Canada. At the two-day tradeshow, on October 5 & 6, the latest technology and the brightest minds were brought together to celebrate Canada’s growing pro imaging market. It has been the focus of ProFusion over the past years to give people the chance to see many ‘first time in Canada’ product launches, including the most talked-about cameras, lighting, software and more. On top of seeing it all, you have the opportunity to experience it in an intimate and interactive environment. As the expo comes to an end, there’s always next year to look forward to. Stay updated to get your free tickets!